Just because you do not see what you’re looking for below does not mean we cannot assist you. Industrial Packaging Corporation has sources for any type of machinery you require for whatever your needs so contact us today and one of our equipment specialists will help you. Solid Performance Through Innovative Design from SEAL-A-TRON. Here’s a top performing palletizer for cases, trays or totes, with features for ultra-smooth case transit, perfect load positioning, and rapid product changeover for all your palletizing needs. This palletizer features low level construction providing the freedom of floor level operation, and a clean, open profile that ensures easy access. Modular designs provide total flexibility for your palletizing production requirements today and in the future. 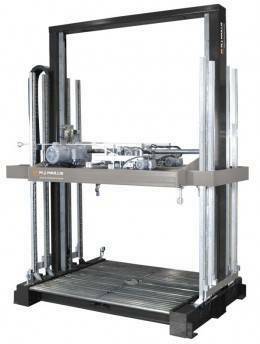 Strapping machines are becoming a familiar sight in shipping rooms everywhere. 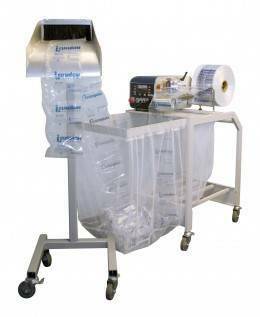 Whether applied with a semi-automatic tabletop strapper or a fully automatic arch machine, nothing keeps a heavy carton closed quite as well as a plastic strap. 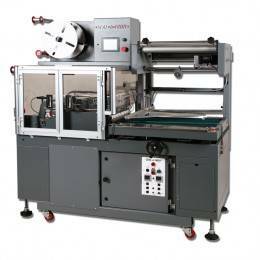 Utilized in a variety of industries such as commercial printing, food, lumber, postal and general packaging, plastic strapping machines can apply a unitizing band simply, quickly, and safely in seconds. 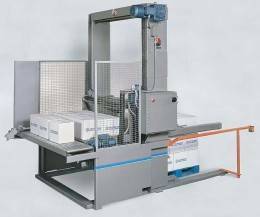 An Industrial Packaging equipment specialist will be happy to help you decide which type and model of plastic strapping machine is right for your shipping operation. 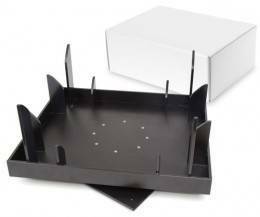 These models can be customized to almost any size and style of unglued cartons or boxes.